Literatopia: Hello, Olen! Many thanks for agreeing to answer a few questions for us. To start off, would you be so kind and tell us a little about yourself, who you are and what kind of books you write? What did you do before taking up writing? Olen Steinhauer: Hello Literatopia! (I never thought I would say that.) About me, I'm just an American who came to Europe in 2001 and hasn't gotten around to returning yet. I began with a year in Italy, and during that year my first novel—The Bridge of Sighs—was accepted by a publisher. Partly because I was writing about Cold War Eastern Europe, I moved to Budapest, where I’ve remained. Because I've known since I was 19 that I wanted to be a novelist, I never tried to make a full-time career of anything. I worked simple jobs that allowed me the mental space to spend my spare hours writing. After 12 years it finally paid off. Originally, I wrote experimental, self-consciously “literary” fiction, because I’d been inspired to write by the early modernists, particularly James Joyce. Eventually, though, I realized that my work lacked narrative tension (in other words, they were boring), so I tried my hand at crime fiction. That led to a five-book sequence of crime and spy novels set in a fictional Eastern Bloc country during the Cold War, from 1948 to 1989. By the time that sequence was finished, I had award nominations and critical praise, but only a small audience. I turned to the contemporary world and, for the first time in my career, an American protagonist. Thus, Milo Weaver, CIA agent in the Department of Tourism. The Tourist trilogy has brought real success for me. But what, really, do I write? Espionage novels currently, though my real aim is to find a perfect balance between genre and literary fiction, inspired largely by John le Carré’s best work. I think some of my Cold War novels achieved that. The Tourist books are a little heavier on the genre side of things, but I think my next novel (The Cairo Affair) will achieve a better balance. Literatopia: The German translation of your novel The Tourist came out in January 2010. About a year later, The Nearest Exit inspired countless readers. Please, could you tell us what these books are about? What is it that makes them special, in your mind? 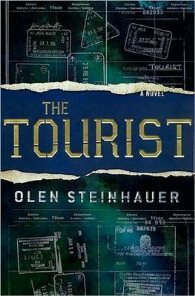 Olen Steinhauer: The Tourist trilogy revolves around a secret CIA department, based in Manhattan, called the Department of Tourism. In the lingo, a “Tourist” is a solo agent sent around the world to commit certain acts in support of American foreign policy. Though reviewers call them “assassins,” in fact assassination is only one of many things they could be doing. They could be couriers or agents of disinformation or protectors. Some of their acts, like any agency’s, are completely mundane, while others are quite deadly. The stories revolve around Milo Weaver, a “Tourist” who retired on September 11, 2001, and moved into administration. Critics claim that he’s what makes the books special, because he has a family he loves. Milo’s not the first secret agent with a family, but the difference is that his family takes center stage in the story. Again, though—this is not new. Take a look at Len Deighton’s Bernard Samson stories. It’s just uncommon. The trilogy follows a very simple meta-story. In the first book, the Department of Tourism attacks China. In the second, China strikes back. The third is a showdown of sorts. Literatopia: The Los Angeles Times wrote, "Steinhauer bears comparison with John le Carré, Len Deighton or Graham Greene." Are you familiar with the work of these authors? Are you perhaps even their fan, or are you critically opposed to them? What does such a statement mean to you? Does it put pressure on you, does it make you proud, or does it trigger completely different feelings in you? Olen Steinhauer: I think such comparisons should be taken lightly. The fact is that whenever an espionage novelist writes with any degree of talent, critics (English-speaking ones, at least) always reach for these three names, even when it’s not appropriate. This is because so few spy novelists are respected by critics, so they reach far into the past to find comparisons, as if no decent spy fiction has been written since the mid-1980s. My very first review said I was heavily influenced by Graham Greene, even though I’d never read him before that point. I’ve since educated myself a little, and am fans of all of the three greats. Le Carré influenced my decision to move more heavily into the espionage genre from crime. I was heavily under the influence of Deighton’s Bernard Samson novels while writing the Tourist trilogy. And Graham Greene is just such a wonderful writer that anyone would be influenced by him. Am I critically opposed to any of them? Certainly not. I’m only critically opposed to writers who use the genre as a political bludgeon rather than as an art form, or as a way of looking at the world. Literatopia: In Milo Weaver, you have created an agent who bears comparison with James Bond. Why did writing about "tourists" appeal to you in the first place? Had you been watching to many James Bond flicks? Or what was the initial impetus that made you take the pen and start writing? Olen Steinhauer: As I mentioned above, before The Tourist my books sold poorly. At the same time, my wife was pregnant, and it was apparent that around the time of her birth we would be completely broke. I was in a panic. So the comparisons to James Bond—the comparisons to an action hero, perhaps—are communicating the one thing I had in mind while writing it: Do not be boring! Which is why, in The Tourist more than the other books in the trilogy, people are more apt to pull out a gun when things get slow! As for what got me started on “tourism,” that actually goes back to my third novel, 36 Yalta Boulevard (The Vienna Assignment in the UK). It’s a sixties spy novel featuring a communist agent uncovering a conspiracy in Vienna. One of my working titles for it was The Tourist, because he was living in exile, similar to the way I was living in Budapest as an expat. The way expats tend to live in a little bubble, among locals but not with them, has always fascinated me. Not all expats, but many, and I’m among them. I often feel like a perpetual tourist in Budapest, and it’s a feeling I’ve gotten used to. The title never quite left me, and when I imagined Milo Weaver’s agents, I found a parallel. They enter cities they don’t really know, sometimes knowing the language, sometimes not, and treat the cities as merely the backdrop to their work. They’re never part of the city, just as, in a way, I’m not really part of Budapest. The title had finally found a home. Literatopia: The reader becomes acquainted with the highly contrasting faces of Milo Weaver. At first, when a “tourist” for the CIA, he comes across like a dark or sombre character. Later on, he is the loving father of a family and the experienced adventurer, but he can also seem a desperate person at times. Aside from all these features, what do you think are Milo Weaver’s distinguishing strengths and weaknesses? Olen Steinhauer: To me, Milo’s strengths are his weaknesses. His devotion to his family is a source of strength, and a strength in itself, but it is also his weakness. It springs from his deepest weakness, which is existential: He sees life as without meaning, and his way of dealing with this is to find something to devote himself to. In essence, he tries to create meaning to give himself a reason for going on. This is why The Tourist opens with him contemplating suicide, for the job no longer makes sense to him. When he meets his future wife in the opening scene, it’s literally life-saving, for he’s now able to devote his existence to her and her baby. It’s a better sort of devotion that he’s never experienced before, and it changes him. It gives him strength, but it also makes him vulnerable in the worst way. Literatopia: Working as an agent for the CIA is a pretty dangerous and demanding job. Surely it must have been just as difficult to write about it with some degree of authenticity. Did you have to make investigations to ascertain your story’s background was believable? Into which sources did you tap? 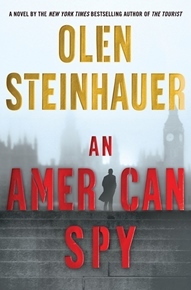 Literatopia: In February 2013, the German publisher Heyne brought out the third volume, An American Spy. Once more, Milo Weaver has to meet a great challenge. How would you sum up the story? Is it a standalone novel, suitable for newcomers to the series? What kind of challenge can we readers look forward to? Olen Steinhauer: Though I tried to write it as a standalone, I’ve heard from readers that it isn’t really. So if anyone out there is interested in reading the trilogy, I suggest they start from the beginning. As I said above, An American Spy is essentially the final confrontation between the Chinese and the Americans—in this case, Xin Zhu of the Guoanbu and Alan Drummond (Milo’s boss) of the Department of Tourism. By now, the Department of Tourism has been destroyed, but Alan can’t let the failures go. Milo is unemployed and looking unsuccessfully for a job, but he doesn’t want to get involved in Alan’s plans for revenge. Alan, however, is insistent, and will eventually get his way. Literatopia: Your first novel, The Bridge of Sighs, came out as early as 2003, and it was the beginning of a series. What was it like for you, at the time, to write novels and to gain a foothold as an author? Did you believe from the start that you would succeed, and did you find a publisher easily? Or did all this rather resemble a true odyssey for you? Olen Steinhauer: One thing I’ve noticed is that, as success comes, your aims change with it. Originally, I thought I would be satisfied if I simply became a published author. That happened, then I wanted to be recognized as being a good novelist. A spate of reviews and award nominations helped with this. Then I wanted to sell enough copies to actually be able to save money for the future. This didn’t happen until The Tourist, and then I wanted to be on the New York Times bestseller list. That has happened, but I’ve only reached number 18—now I want to be in the top ten. Then I wanted to finally win one of those awards I’d been nominated for, and I won a Hammett Award for The Nearest Exit. There’s always something else to yearn for. But the greatest aspiration is the one that I’ll never really achieve: to write the perfect book. All this is just to say that success is an entirely relative term, and each time I achieve something, I reward myself with a stiff drink, then find something else to aspire to. Did I believe from the start that I would succeed to this level? No. I hoped, but I lived in doubt. It took a while to find a publisher—my US publisher, St Martin’s Minotaur was (if I remember right) the 13th house to look at it. Everyone else said no. Happily, my editor, Kelley Ragland, saw in it something no one else saw, but from the start I knew it wouldn’t be easy. Literatopia: What was it like - and what is it like - for you to be nominated for so many notable prizes - and to even win some of them? Has this success in any way changed your life, or did everything basically stay the same as ever? Are there certain goals you would still like to reach? Olen Steinhauer: One of the great benefits of living in Budapest—or, living outside your primary market—is that all this good news is heard from afar. I get an email or a phone call, or I see something online. I get a nice rush of pleasure, and then I’m back to my life of being a husband and father, and trying to write a better novel. There’s not much chance to be derailed by success over here. I’m not being invited to parties or having my life interrupted in any way. This is good for a novelist, even if he sometimes wishes for the glamour of attention. I just want to write really good novels. Literatopia: In addition to your published novels, you have written various short stories. Do they all belong to the same genre, or do you strive toward variety? Is there a story you would like to recommend in particular? Olen Steinhauer: Since publishing my first book, I’ve been asked to write for a few anthologies, and it’s great to step out of long-form writing to clear my head. My most recent short was “You Know What’s Going On” for the excellent anthology Agents of Treachery, a collection of short spy fiction edited by the well known Otto Penzler. I suggest that any fan of the genre find a copy of the book, which has some excellent work in it. If you’re not up to buying the entire book, you can find my story as an ebook on Amazon and the iBookstore. I quite like it, and keep toying with the idea of expanding it into a novel. It deals with spies and terrorists in Rome and Kenya. Literatopia: A popular standard question which simply cannot be missing here: where and when do you write? 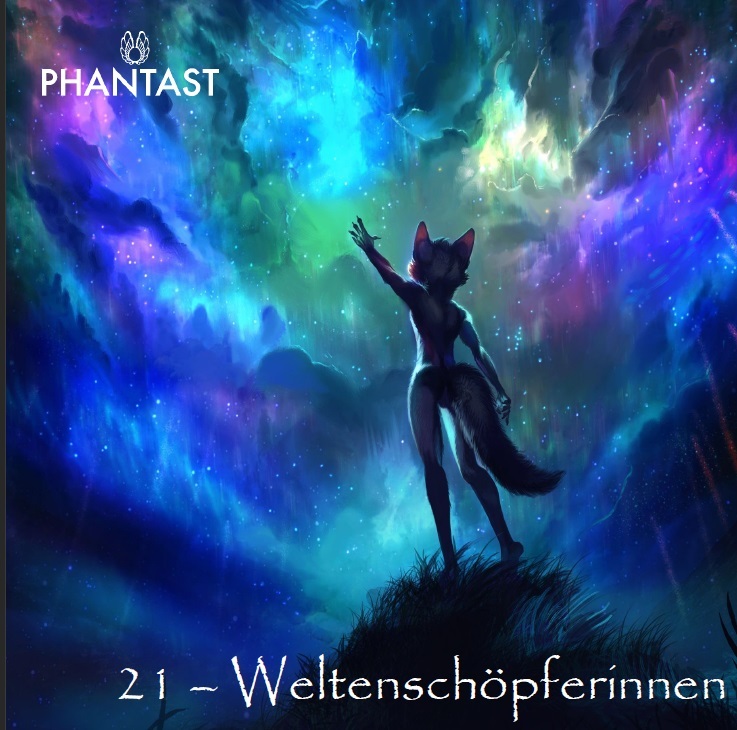 Do you need a certain ambiance to get into the mood for writing, or could the world descend into chaos about you, while you are working with all your concentration, making your keys glow? Olen Steinhauer: During my years working in restaurants I learned how to turn off the outside world, so I could write during lunch breaks. It’s a good thing for any writer to learn, because now I don’t need any special conditions to get work done. I wrote a number of my Cold War novels in Budapest cafés, with noise all around me (and often a vodka in front of me), and even now I work at home, with my five-year-old pestering me every five minutes. All I need is something to write or type on. My only problem is finding the time, a problem anyone with children can relate to. Literatopia: Some write all through their nights, others get up at 7 a.m. sharp, others again scatter sheets of paper throughout their apartment - how do you go about writing? Do you observe certain working hours? And what degree of self-organization is necessary for a novel? 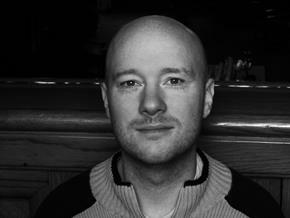 Olen Steinhauer: Again, I'm an at-home dad, and my daughter and wife are around all day long, so I write when I'm able. I do prefer early morning when everyone's asleep, but the truth is that I also love staying up very late, so I seldom get that peaceful work time. As for organization, I’m a mess. I scribble notes here and there, but primarily I just sit down with my laptop (or iPad if I'm on the move) and write. To me, the act of writing and the act of planning or thinking about a novel are one and the same. Literatopia: Books of which genres do you crowd on to your bookshelves? Do you have clear preferences, or do you read more indiscriminately, all over the place? Which novel impressed you particularly last year? You have a family, you are a writer - do you find time at all to read much? 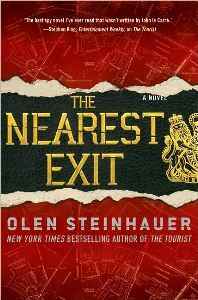 Olen Steinhauer: Since finding my niche, I've started to read more and more espionage fiction, but that was a late development. I really read books which sound interesting, things I discover through reviews, which could mean anything. The last book I was really blown away by, though, was probably Sorry by Zoran Drvenkar, which I reviewed for the New York Times Book Review. Though I do it rarely, I love reviewing simply because it brings me to books I never would've read in the first place, and Sorry is a perfect example. Literatopia: You grew up in Virginia and have visited different countries by now, for example Romania, where you spent a whole year. What brought you to this country, and what experience did you gain there? Is there a country of which you have particularly pleasant/unpleasant memories? Olen Steinhauer: Writing brought me to Romania. I was working on a novel focused on the Romanian Revolution of 1989, and I’d never visited the place. I was lucky enough to get a Fulbright Fellowship to research the novel there, and it was an amazing experience. Though that particular novel was a failure, my time there inspired the Cold War novels, which was how I got published. I don’t want to dwell on the unpleasant experiences of living in any particular place, but when I was 19 I spent a semester in Zagreb, and it was there that, by reading James Joyce, I made the decision to devote my life to writing fiction. It was a wonderful time. Literatopia: Are you an author who enjoys keeping in touch with his fans or critics? Do you maintain contact with them by reading from your books every once in a while? Or have you come to think it is better to treat fans and readers with reserve? Do you have any dates yet for book reading appearances in 2013? Olen Steinhauer: I’m a bit schizophrenic about this. In my ideal life I would not be connected online to anyone, because I find social media oppressive. So in a way, I want to be left alone. On the other hand, if you put me in a room with fans (or critics—just someone who actually knows my work), then I’m incredibly satisfied. This is partly because I live in Hungary, and so my chances of meeting people who know or appreciate my work is very small. To do readings, my US publisher has to fly me over to America, so it doesn’t happen often—and, no, no events are planned this year. I’ve got novels to write! Literatopia: Which novels can we expect from you in the future? Is there going to be a continuation of Milo Weaver’s dangerous missions any time soon? Or do you have different new projects in the pipeline? If so, could you perhaps give us a hint or two what they will be about? Olen Steinhauer: I’m letting Milo take a vacation for the moment, largely because I envisioned his story as a trilogy, but also because I wanted to get out of his world for a while. I began my career by devoting six years to a single group of characters during the Cold War, then spent three years writing about Milo’s world. I really needed to shorten the commitment time a little. I’ve actually written two more novels since An American Spy. The first is called The Cairo Affair, which takes place during the Arab Spring, focusing on Egypt and Libya. It begins with the assassination of an American diplomat in Hungary, and follows his wife to Cairo to find answers. The second is a smaller story, focusing on two ex-lovers and spies having dinner in California, with flashbacks to a hijacking in Vienna that went very wrong six years before. It’s called All the Old Knives. And right now I’m working on a novel about contemporary American left-wing terrorists, based in part on the Baader-Meinhof Gang. Will Milo return? Yes, eventually, but only after I’ve worked my way through the other ideas that have been nagging at me! Literatopia: Thank you very much indeed for answering all these questions, Olen. Olen Steinhauer: Thank you for asking them! Cheers. This interview was conducted by Angelika Madryk. 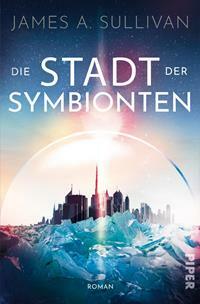 Copyright by Literatopia.de.